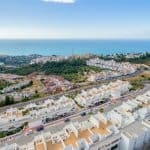 Benalmádena has for the past forty years been a favoured destination of north Europeans seeking the sun and the Mediterranean. 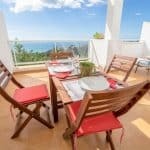 It is easily accessible from Málaga Airport and the city to the east, whilst the bright lights of Estepona are just 45 minutes to the west. Like all this stretch of the coast, the town enjoys 300+ days of sun. The town is actually split into three separate areas which are all very different in character. Benalmádena Costa is, as its name implies, the strip along the front. A great place for a manic two week holiday but not everyone’s choice for a permanent retirement. This area is full of high rise hotels, bars, restaurants and other eateries. It even has its own 24 Hour Square where there is always something going on ….and somewhere to eat/drink and be merry! 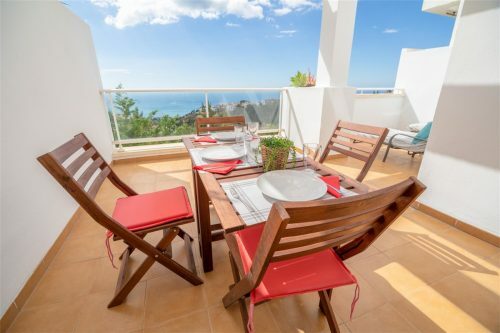 Here you will find the ever-popular marina and miles of golden sand all the way along to Fuengirola to the west and Torremolinos to the east. The main tourist hotels are based in this area along both sides of the N340, the Highway of Death. The road is now quieter because of the inland motorway but is still busy and dangerous. Not everybody wants to look out onto that every day. Go up the hills and you are in Arroyo de la Miel (Stream of Honey). 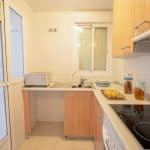 Here you will still find bars and restaurants but with a mix of apartments and shops more designed for permanent living. This is where the railway station and best transport links are. There is a direct train to Fuengirola, the capital, Málaga, and also to the airport. From the railway platform in Arroyo de la Miel you can be checked in at the airport within 20 minutes! The third area is further up the hill to Benalmádena Pueblo (Benalmádena Town). This is much less touristy with fewer bars and Kiss Me Quick hats but where you will find a good mix of apartments and villas. Views are magnificent and you are still only a short bus ride to the front. I have highlighted some apartments in the pueblo below. So, each area is different but each has its own appeal and charm. 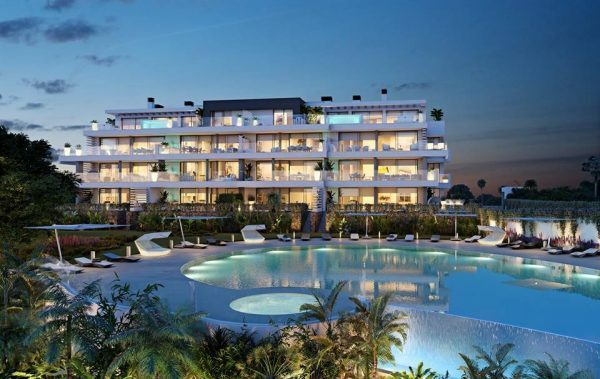 This is a prestige development of high quality apartments with a contemporary design and panoramic sea views located at Higueron West (Higuerón West, to be completely correct). This new neighbourhood will be adjoined to Reserva del Higuerón Resort Sport Club and Nagomi Spa amenities, where a free lifetime family platinum membership is included with the purchase of any property at Higuerón West. This membership has a retail value of €6.000. The Sport Club occupies a spacious 12.000 m2 and has a high-tech gymnasium, plus indoor and outdoor swimming pools. 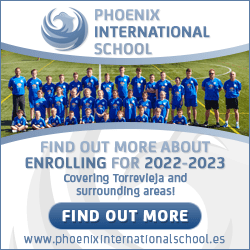 Exercise classes and swimming lessons are available for both adults and children. There are also two tennis, volley and basketball courts, plus 12 paddle courts which host the most outstanding players in the Pro Tour Paddle Tournament yearly. I was delighted to spend time with Previn Menon from the First 4 Property Group recently who was very excited about this new development at Higuerón West. I found that you can be on the beach in 5 minutes and within 10 you can be back in and Benalmádena. So, it would have been rude not to have a look! Yes, viewing is highly recommended. 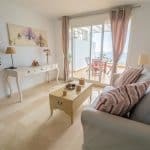 Incredible value 2 bedroom 2 bathrooms apartments with fantastic sea views and excellent build quality. 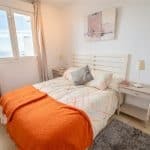 Great location close to all amenities and you can walk easily into Benalmádena Pueblo with everything on your doorstep. There is a beautiful swimming pool and communal gardens within the secure gated community. We have only a few available and these will be sold very quickly so call us or request more information immediately. 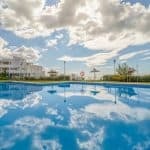 Similar new apartments are selling for over €300,000 so don’t miss out. Click HERE to view over 50,000 properties updated daily.